For any make of cooling tower ) (cps supply eliminators for counter flow and cross flow cooling towers fully compliant to the requirements and recommendations of Health & Safety Executive ACoP L8 (Legionnaires’ Disease: The control of Legionella bacteria in water systems). 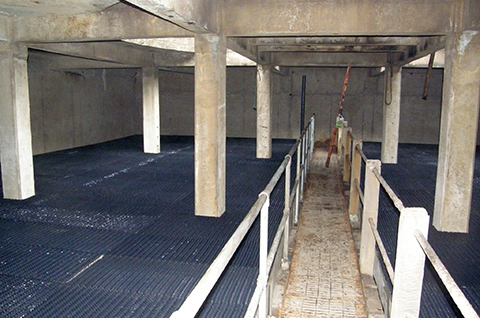 The majority of package cooling tower utilise high density honeycomb to deliver high efficiency drift reduction. 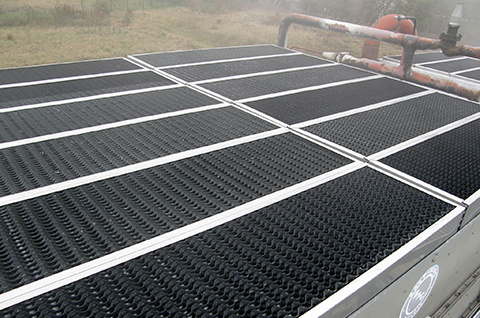 A more open matrix is used on industrial cooling towers. ) (cps can supply both kinds, which are available from stock.
) (cps can also supply plastic blade type eliminators to replace timber or asbestos in Natural Draught cooling towers or offer easy clean eliminators for water systems which contain high solid levels or process contamination. (Legionnaires' Disease: The control of Legionella bacteria in water systems).